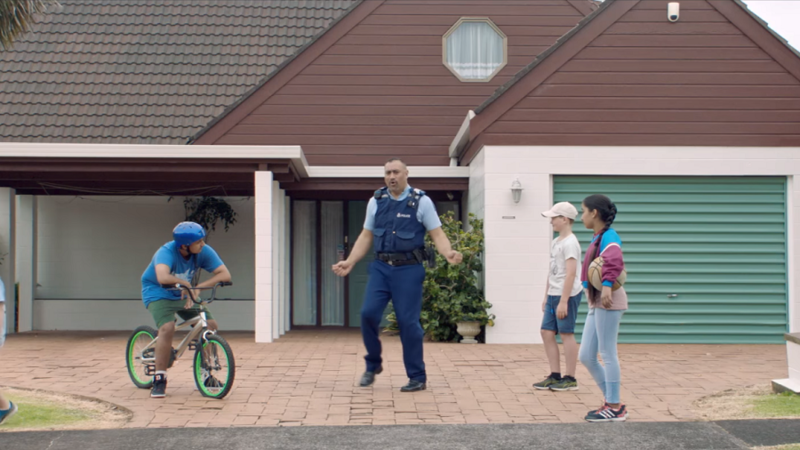 In a bid to attract new recruits New Zealand police have released a new video they’re calling the “world's most entertaining police recruitment video.” The tagline seems fair as it has gone viral attracting interest from hundreds of potential new cops. The nearly three-minute action-packed video involved more than 70 current police staff, showcasing their talents in the air, sea and land. There’s even a short appearance by Police Commissioner Mike Bush, a police cat and the Auckland Police pipe band. “NZ police are striving to increase our overall staff numbers over the next three years to meet our objective of being the safest country, and to deliver on the Government's signalled staffing increase,” the NZ Herald quotes Bush as saying. “Police want to attract more women, Māori, Pacific Islanders, and people from all other ethnicities and backgrounds to better reflect the communities we serve,” he added. The video was initially launched on New Zealand Police Recruitment Facebook page, where it has since been viewed over one million times. “The feedback we’ve been receiving from across New Zealand and the world since yesterday’s launch has been phenomenal,” Bush said in a statement. “Our new recruitment video is working for us. At 9am today there had been an 800 percent increase in traffic to the ‘New Cops’ website since the launch of the video. As well as this, 333 full profiles have been created by people interested in joining us. Further to the online campaign, the video will also be shown in cinemas, on television and on outdoor posters.